Lately I have been thinking about my own little creative space at home, once a bedroom, then a study and now…well my very own little hub of creativity. Small but perfectly formed (as I like to term it) I need to successfully pull all of the practical elements of the space together but in a way that will not compromise style. One of the challenges I face is a growing collection of books, not all mine, which need to be stored, displayed and in some cases recycled. Book covers can be artworks in themselves from interesting typographic styles to captivating photos and illustrations so my first step is to select a handful of covers which I will be happy to give prominence to. 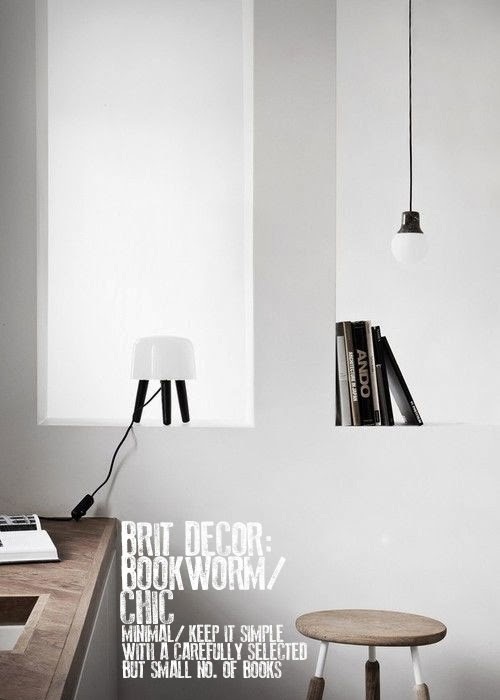 Today I have selected a great set of examples on just how creative you can be when choosing how to display books in the home. I do love how in the top image, books are intermingled with mini prints and objects rather like a curated gallery-style display. 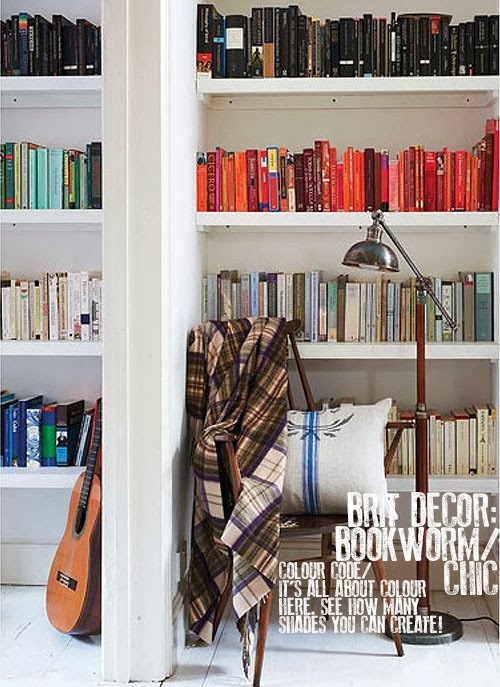 However, if it's order you are looking for, how stunning is the neatly arranged colour spectrum of books in the second image? 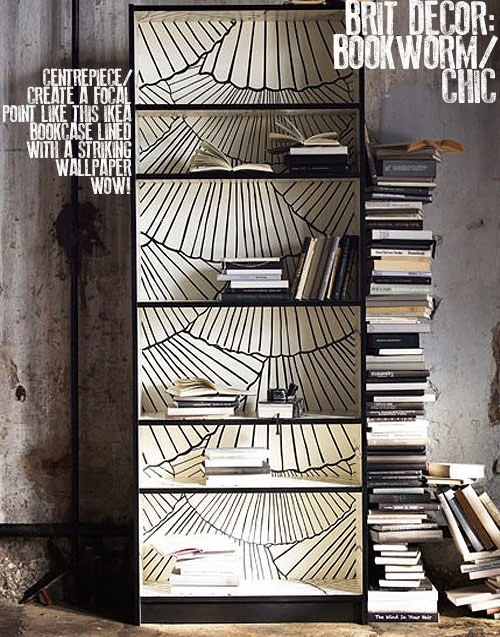 I am really inspired by the striking decorative bookcase in the third image down, which amazingly is a Billy bookcase from Ikea, lined with a simple wallpaper. This would be so easy to replicate at home with any number of wallpaper designs or for a true colour burst effect, try colour blocking each compartment with a vibrant paint. 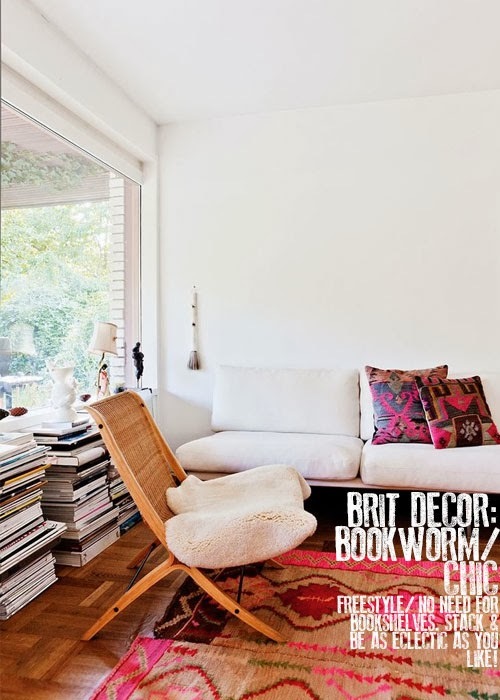 The final three images really illustrate how books can also become an integral part of a room whether neatly placed in their own alcove or stacked into statuesque towers and topped with interesting objects (loving the fuchsia pink Aztec print rug by the way!). 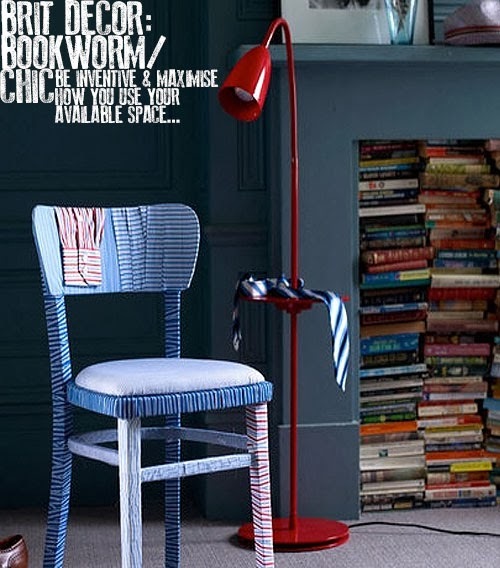 Whatever your style, I hope you've found some inspiration today: Happy reading!